I just want to say a massive thank you for all the hard work you and AC Maintenance have provided KRPeters Pty Ltd over the past 5 years. You always attend to jobs in a professional manner and efficiently and we couldn�t fault your work. No job is ever too big or too small and we know we can always count on you to deliver when we need you. Keep up the good work! We have known Glen and Phil of Acreage & Commercial Maintenance for a period of approximately 11 years on both a personal and business level. ACM not only carry out work at our electrical distribution warehouse in Moorabbin but also at my home. I personally recommend this company very highly. I am the Chairman of the La Perouse Estates garden committee and during that time AC Maintenance led by Phil Rowley and Glen Bourier for the last 4 years have been doing our garden�maintenance work. The La Perouse Estate is quite large consisting of 178 town houses and AC Maintenance requirements are to maintain the front gardens of each town house. As well they are to maintain the vast amount of common property consisting of extensive gardens and lawn areas. AC Maintenance have gone about this work in a professional and well organised manner which results in a high quality finish. They are reliable and they always respond positively to any special requirements that develop from time to time and their charges are competitive and within what we budgeted for. 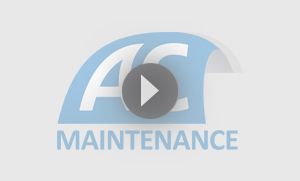 I am more than happy to recommend AC Maintenance to anyone requiring work of this nature. My name is Jeanette and I am a committee member at Devon Mews in Carrum Downs. I would like to highly recommend the works of AC Maintenance. I have found them to be prompt and highly professional in servicing our property. Which includes regular mowing of communal areas as well as other maintenance issues as requested. I have no hesitation in recommending them for any future work.